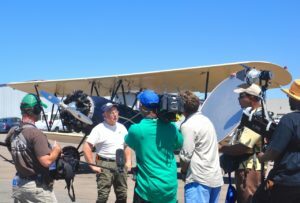 Fun Flights Biplane Rides Over San Diego » FUN FLIGHTS BIPLANE RIDES’ DOUBLE HEADER! HomeBlogFUN FLIGHTS BIPLANE RIDES’ DOUBLE HEADER! FUN FLIGHTS BIPLANE RIDES’ DOUBLE HEADER! 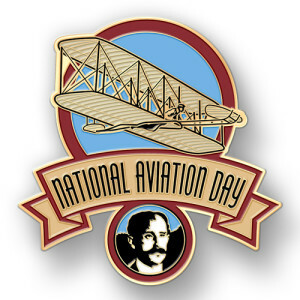 Fun Flights Biplane Rides is celebrating National Aviation Day – with a double header! For the first twenty flights purchased from August 19 onwards, Fun Flights will provide one adult and one youth pass to the unique San Diego Air and Space Museum located in Balboa Park. It’s a perfect combination to experience aviation history and inspire the next generation of pilots. Orville and Wilbur Wright were pioneer aviators in the United States. Orville was the first person to successfully fly an airplane on December 17, 1903 at Kitty Hawk, North Carolina. This inaugural flight changed our skies forever! President Franklin D. Roosevelt created this special day in 1939 with a Presidential Proclamation! Fun Flights Biplanes Rides . . . flying like it used to be with helmet and goggles in the fresh air over San Diego County. Two passengers sit side by side in the front cockpit while our pilot flies from the rear cockpit (helmet and goggles provided)! Fun Flights operates at McClellan-Palomar Airport in Carlsbad and are currently highlighted on the Travel Channel’s program “Bikinis and Boardwalks” featuring fun activities along San Diego’s North Shore! 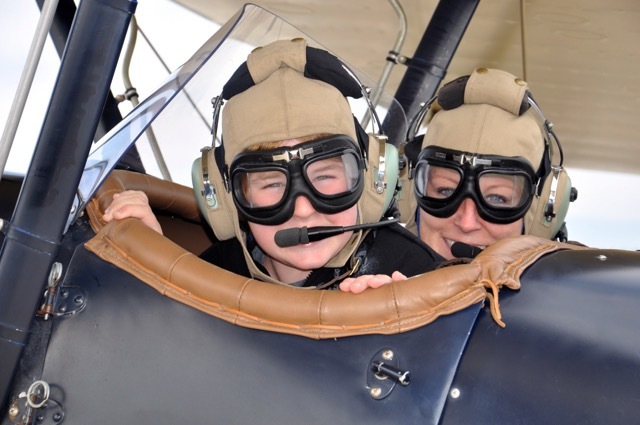 An extra treat at Fun Flights – we take complimentary photos and share with you via email. Our current prices start at $239 total for two people for thirty minutes in the air, combined weight of two passengers not to exceed 400 lbs. *Purchase your flight and one adult and one youth museum pass will be presented to you! Posted in Uncategorized | Comments Off on FUN FLIGHTS BIPLANE RIDES’ DOUBLE HEADER! 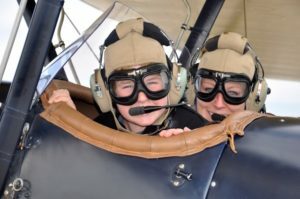 (Next Post) Kids Competition in honor of National Aviation Day . . . 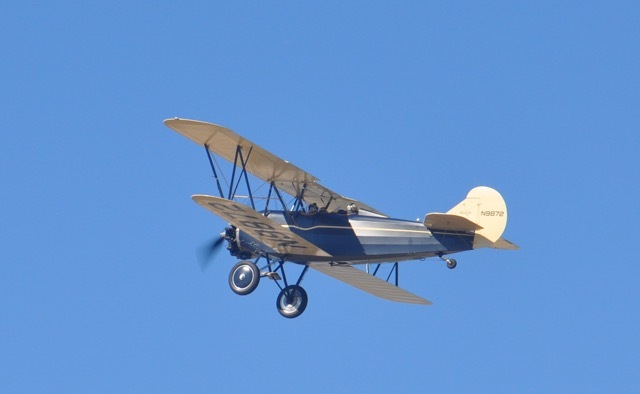 Win a Biplane Flight!